Twenty-five years ago today (September 2) Reading band, Slowdive, graced us with their first full length record in the form of Just For A Day – a glistening, ethereal experience that transports the listener to an otherworldly musical plane. Indeed, the album’s original packaging carried a sticker that read “like a mind altering substance, without the risk”, perhaps the best summation of the record’s haunting charm. To celebrate a quarter of a century of one of the greatest shoegaze albums of all time, we take a look back at the origins of the album, how it all came together, and what shaped its existence. 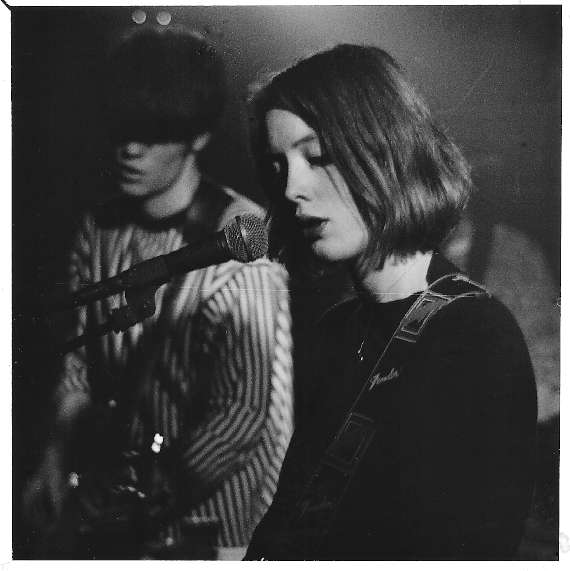 Slowdive are one of the ‘big three’ shoegaze bands – along with My Bloody Valentine and Ride – formed in Reading in 1989 after Neil Halsted and Rachel Goswell’s Sunday youth group band The Pumpkin Fairies went their separate ways. The pair (who had been friends since childhood) recruited Nick Chaplin on bass and Christian Savill on guitar. Several drummers briefly played with the band, but a full-time sticksman wouldn’t be found until Simon Scott, shortly after the release of their first LP. The band were initially influenced by post-punk groups like The Cure and Siouxsie and the Banshees, but their sound became more akin to My Bloody Valentine after attempts to replicate Kevin Shields and co’s sound. As primary songwriter, Halstead stated that Slowdive wanted “to create something big and beautiful and sort of timeless”. Of course, Just For A Day wasn’t Slowdive’s first recorded release. By the time the album dropped in September 1991, fans of indie music had already had a decent enough glimpse of the band’s transcendant shoegaze. Loyal fans will have noticed anniversaries for many of these records popping up over the past few months – Slowdive’s debut, self-titled EP landed in November of 1990 and (according to The Rough Guide to Rock) was released “to rapturous applause from the press”. It was definitely a showcase of a band at the start of their career, and though it carried only three rough tracks – ‘Slowdive’ and ‘Avalyn’s ‘I’ and ‘II’ – already the band were experimenting with idiosyncratic song structures and lacing emotion through the guitar haze. The Morningrise and Holding Our Breath EPs followed, but it wasn’t until Just For A Day that the band would really hone their craft. Just For A Day was recorded at Courtyard Studios in Abingdon in the Thames Valley. The album came about at a time when the band themselves were very young and, despite a subdued pace and introspective take, that youthfulness shone through, especially when compared to the band’s later output. Songs like ‘Celia’s Dream’ hint back to their earlier, post-punk influenced origins (at least until an amazingly grand chorus kicks in), while tracks like ‘Catch The Breeze’ carry that much more ethereal sense associated with shoegaze. It’s quite a delicate balance between the two, and one that lent itself to the overall quality of the record. It would be another two years before Slowdive would release their defining album, 1993’s Souvlaki, but Just For A Day was an amazingly strong start from one of the then lower-key players in the shoegaze scene. The record shot straight to number three in the UK Indie Chart – an amazing feat for a debut – and garnered critical acclaim from most outlets. Some thought that, while a sturdy collection of songs, Just For A Day highlighted the band’s young age, and some mixed reviews reared their heads as a result. But that’s not to say the band’s first try doesn’t deserve the fond nostalgia that will be heaped upon it during this 25th anniversary. As an introduction to the band – or indeed the shoegaze genre in general – it’s a more than fitting starting point.